Come check out the latest addition to our clinical services and join in on a “fun”draiser at the same time. 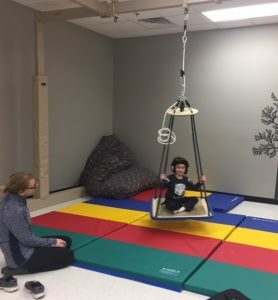 ExercisABILITIES now offers pediatric services in physical therapy, occupational therapy, and speech therapy to all individuals from birth to 100+. On Tuesday, April 17th, ExercisABILITIES will hold our Spring Open House which will feature a family fun event with Art on the Go‘s Nicki Novotne, Root Beer Floats, henna tattoos, raffle, yummy snacks and more all to support our new pediatric rehabilitation programs and services. No sign up required for the open house. To participate in Art on the Go, click here. We will be selecting and asking for volunteer to showcase their art in our first ever ExercisABILITIES art exhibit to brighten up our new pediatric space. We look forward to seeing everyone’s work or art!